Restaurant & Bar Art Mets. Welcomes you for two years already, located above the Nautical Club Wimereux, it offers panoramic views of the dam of Wimereux, the sea but also on the English coast. Art Mets to be "Bistronomique" a worked but in a casual cuisine. The chef offers a sophisticated and authentic cuisine that emphasizes fresh, seasonal produce. Through a network of local producers, selected for their expertise, the chef will make you discover the wealth of our region. Everything will be implemented in order to share our philosophy of "Eating Well". Looking for a place to organize group meals, seminars, cocktail parties, or just lunch with friends? You want to eat in a friendly place, warm and exceptional settings standard? The Restaurant L'Art Des Mets open every lunch and dinner (except on Sunday evening and all day Monday) off season. A panoramic view overlooking the entire dike Wimereux awaits. Our team of professionals offers you various options to satisfy you. We are listening to your expectations. Our menu is prepared with fresh, seasonal and local produce (menu € 29.50). You want to privatize the restaurant? Our ability in the restaurant is 70 seats, we also have a meeting room. It is possible to make our private property however it will be imperative to book in advance. Above Yacht Club Wimereux (South Digue), mount the sea side stairs to go to our hotel. A passionate and dynamic team is waiting for you and is ready to help you to have a good time. 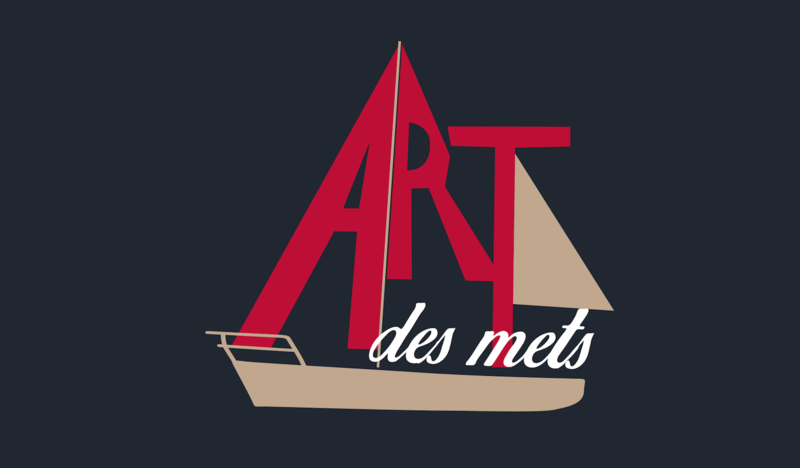 Art Des Mets, a place to discover. See you soon !